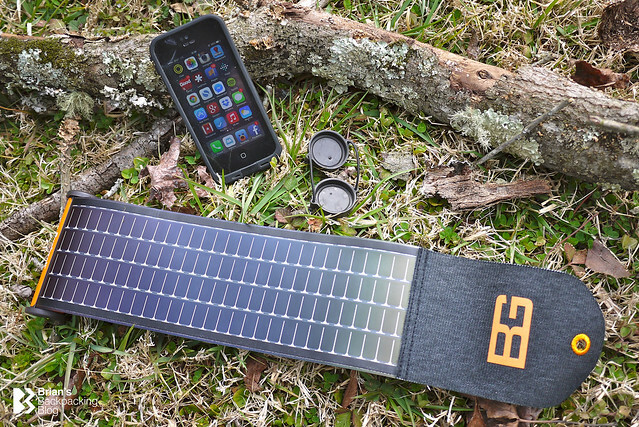 I’ve been waiting for a light weight, compact solar charger to hit the market for a very long time. 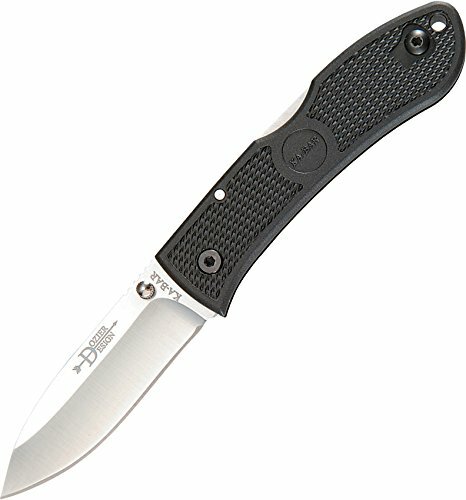 So I was excited when I discovered the Bushnell SolarWrap Mini a few months ago. Until now the only solar charging solutions on the market all largely consisted of the same standard configuration - one or more photovoltaic panels, protected by glass and hinged together using layers of heavy-duty cordura fabric. They were all heavy, bulky, and fragile. In short, not something I wanted anything to be a part of. Over time companies such as Goal Zero refined the genre and made significant improvements in the technology behind solar charging. However, these improvements were mostly around charging efficiency and power longevity. For the most part though the design concept of connected heavy solar panels was the same. The Bushnell SolarWrap with its lightweight, flexible solar panel was a game changer and exactly what I had been waiting for. 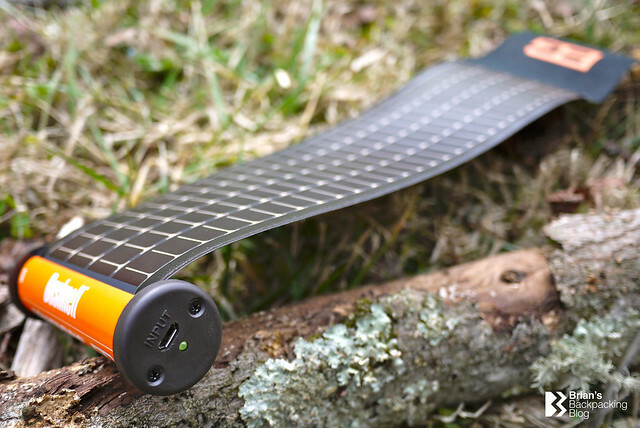 The immediate difference with the Bushnell SolarWrap is the thin, flexible solar panel that unrolls like a paper scroll. When you want to collect solar panel you simply unroll the solar panel and leave it exposed to the sun. When you’re done, roll it back up around the body of the unit and you’re done. 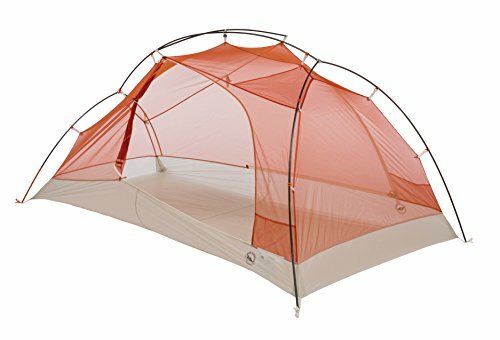 Small, efficient, compact, and light weight. There are only two ways to charge the onboard lithium ion battery contained in the cylindrical section of the device. It can be pre-charged via the micro USB port and connected to either a powered USB port on a computer using the cable provided or from micro USB port to a wall outlet, but you’ll need your own adapter for the wall outlet option. The second method for charging the lithium ion battery is by using the flexible solar panel and the sun’s rays. There is a small LED charge indicator light on one end of the SolarWrap that changes from red (charging) to green once the battery is fully charged. The charge times that I experienced between the two methods mentioned above were significantly different to one another. However, they were in keeping with the user guide that came with the SolarWrap. Here’s a link to the online PDF version. Pre-Charging: I found that it takes anywhere between 3.5 - 4 hours to fully charge the onboard lithium ion battery using the supplied micro USB cable and either my laptop or a wall outlet. This is the pre-charge option and is obviously the most efficient way to charge the battery. The fastest pre-charging time (3.5 hours) was using the USB port on my MacBook Pro, which kinda surprised me. The ~30 minute variances that I experienced may have been due to the slight differences between a partly depleted battery and a completely depleted battery. 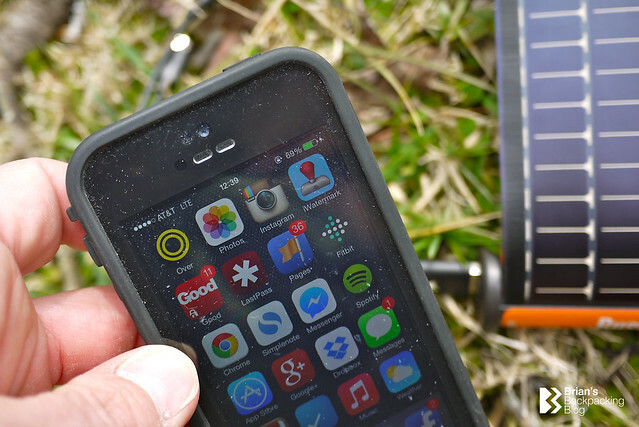 Solar Panel Charging: This is the real reason why I bought the Bushnell SolarWrap in the first place so that I could charge my iPhone or digital camera while on extended hikes, outdoors. Over the last few months I’ve played with a couple of different ways of using the extending flexible solar panel to charge the lithium ion battery with varying degrees of success. I tried laying the SolarWrap flat on the ground at camp for as long as it took to fully charge and I tried carrying the SolarWrap attached to the top of my pack and unravelled so that it was facing the sun while I hiked. Laying the SolarWrap down was definitely more efficient than carrying it on my pack and I can only assume that the periods where is was in the shade or out of direct sunlight while hiking must have impacted the effectiveness of the solar panels. 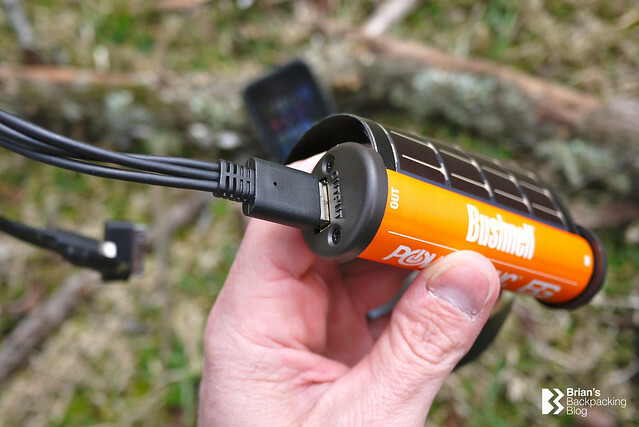 In it’s most efficient solar configuration (laid flat with as much sun as possible) it took between 9 and 10 hours to fully charge the Bushnell SolarWrap. That’s charging the lithium ion battery from flat. Wearing the SolarWrap on my pack would take anywhere from a day and a half to two days to fully charge - again from flat. It was probably taking the same amount of hours (9-10) but spread out over the length of the hike and accounting for time in the shade. It seems that the most optimal use for the SolarWrap is to pre-charge before a trip and keep it topped up while outdoors. On days where I did not need to drain the entire lithium ion battery to charge my phone I was able to keep the SolarWrap topped up by wearing it on my pack. It’s definitely a fine balance of use and charging. Despite being a self confessed gear nerd, I’m not typically one to read a user guide inside out - you’re shocked right? So it may come as no surprise that I thought I was using the Bushnell SolarWrap to charge my iPhone directly, in real time, using the solar panels when it was hanging on my pack. In actuality I was depleting the lithium ion battery to charge my iPhone and using the solar panels to charge the onboard batter. 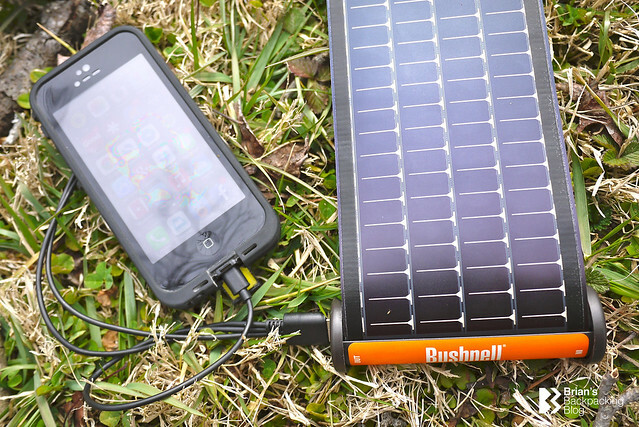 The net effect may well be the same and it seemed to work very well, but I wanted to mention here that the Bushnell SolarWrap mini does not have the ability to charge a device directly from the solar panels - according to the user guide. 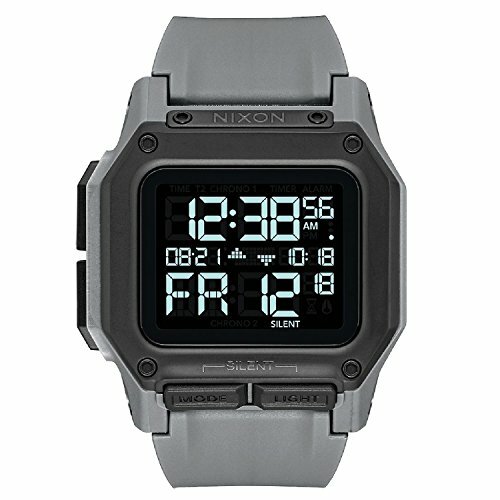 When fully charged the SolarWrap Mini has enough power to charge a small point and shoot digital camera more than twice. 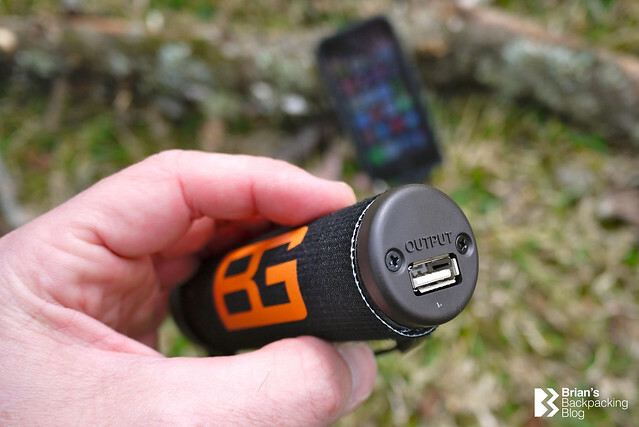 I tested this with my old Nikon Coolpix via a micro USB cable. At full charge the SolarWrap Mini was only able to charge my iPhone, when I let it get down to about 5-10% battery, one time. There was definitely a little more juice left in the SolarWrap after one full iPhone charge, but not enough for a second full charge. This is another example of where keeping the SolarWrap topped up and not fully depleted is the perfect solution. 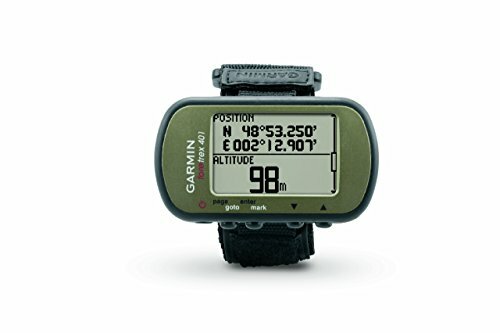 I’ve read online reviews in which users claim that there Bushnell SolarWrap Minis have failed on them after getting damp overnight or after accidental exposure to moisture. I can’t verify their experience or know for sure that they didn’t have another issue going on with their unit, but I can tell you that I haven’t had any of those problems with mine. I’ve been carrying it for hiking, work travel, and pleasure for some time now and it’s seen its share of cold, heat, damp, soda, puddles, and dog drool and is still working like a champ. In fact on quite a few occasions I’ve taken a wet soapy cloth to it to clean off all the nastiness that the outdoors, kids, and an inquisitive dog can create - without much thinking about the consequences of the moisture. I have been careful not to drop it into water completely, it’s not waterproof for sure, but I definitely haven’t been overly fussy about it getting wet. Your mileage may vary as they say, but with a little common sense mine is working fine and is plenty rugged enough for my needs. I’ve been looking for a lightweight, compact, and easy to use prattle solar charging solution for my iPhone for some time. There are plenty of very good hard cased, folding solar panels on the market, but the Bushnell SolarWrap is the first flexible panel that I know of. This is exactly what I was looking for and it gets the job done. There are larger versions of the SolarWrap that can hold more power and charge faster - you’ll have to take a look at the options and see if the SolarWrap Mini is enough for your power needs. 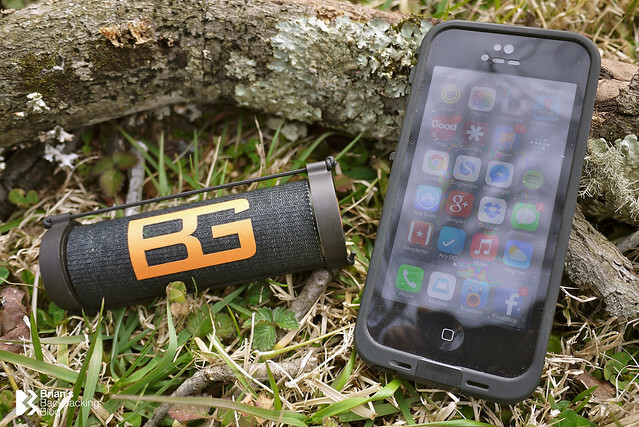 I have no problem recommending this cool little gadget to others. 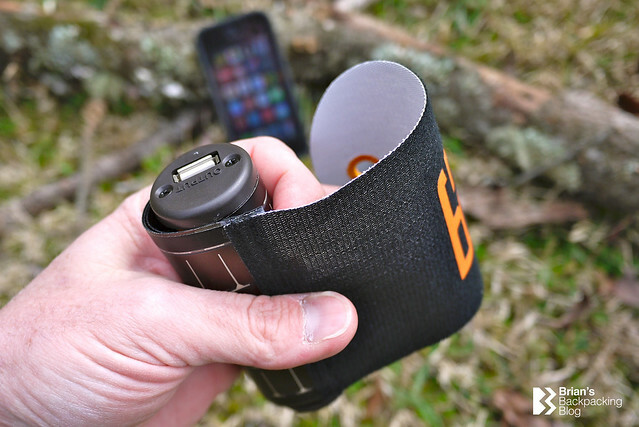 If you’re in the market for a solar charger give the Bushnell SolarWrap a look and if you get one (or already have one) let me know what you think of it. Hopefully you’ll be as pleased as I am. 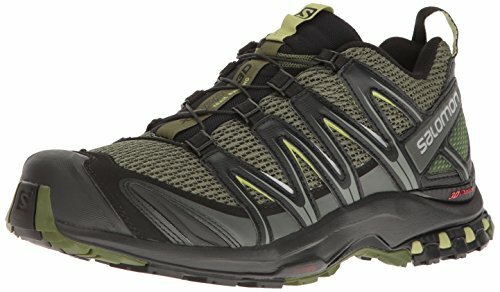 Disclosure: The author of Brian's Backpacking Blog bought this product with his own funds. His thoughts are his own.